A superhero origins story, Iron Man modernizes the comic book hero with a savvy narrative inspired by raging cynicism and a world addicted to weapons. Tony Stark (Robert Downey Jr.) is a genius inventor and weapons builder, and the head of Stark Industries, the world's leading armament manufacturing company. On a trip to war-torn Afghanistan with his main US military liaison James Rhodes (Terrence Howard) Tony is caught up in a firefight, wounded and captured by militants. He is kept alive by fellow prisoner and doctor Yinsen (Shaun Toub). Militia leader Raza (Faran Tahir) demands that Tony build him a sophisticated rocket system, but instead Tony and Yinsen secretly develop a small arc reactor to power a protective weaponized suit of mighty armor. Tony uses his new invention to escape his captors and return to the United States, and having witnessed the ravages of war he is determined to stop manufacturing tools of death. His mentor and business partner Obadiah Stane (Jeff Bridges) is horrified that Tony could jeopardize the company's profits. 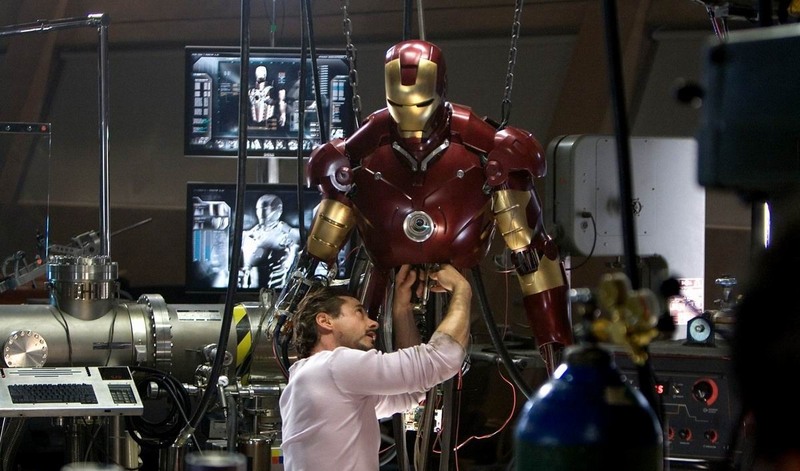 Trusting only his personal assistant Pepper Potts (Gwyneth Paltrow), Tony retreats to his workshop to design and build a second version of the power suit, determined to develop the capability to put a stop to war. Directed by Jon Favreau, Iron Man is a sharp action film benefitting greatly from a coiled Robert Downey Jr. performance enjoying the transformative journey of Tony Stark. The origin of Stark as a callous merchant of death gives the character plenty of distance to travel on his way to superhero status, and Downey makes the ride well worth joining. 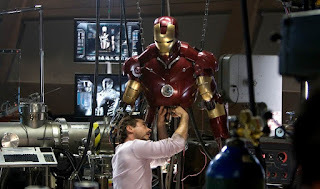 Refreshingly the film derives most of its joy from personality rather than mayhem, and a large part of Iron Man is about people rather than machinery. Stark's uninhibited and outspoken sarcasm is a deep-seated character trait. This is a man confident in his own abilities and not afraid to speak his mind whether peddling the latest tool of destruction or announcing his intentions to change the course of his corporation. And this being a more-intelligent-than-most origins story, Favreau has the luxury to measure and space out the action scenes, avoiding the sensory overload that commonly plagues the superhero genre. When it does come to combat and explosions there is no shortage of villains to dispense with, including heartless Afghan militants and more dangerous foes back home. And with the powered suit still in the development stage, Favreau injects plenty of dry humour as things don't quite work as intended and Stark manoeuvres his new invention into the trouble of unintended consequences. The supporting cast is talent-rich but relatively static. Jeff Bridges, Gwyneth Paltrow and Terrence Howard are game but not provided with enough material to stretch beyond the obvious limitations of their roles. 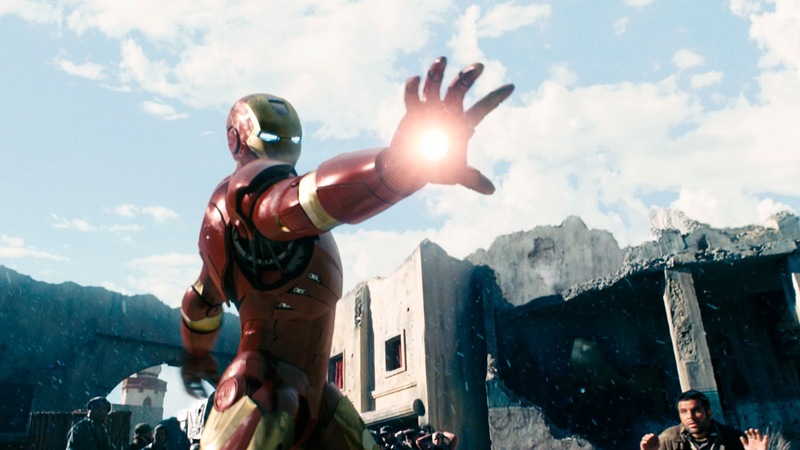 Fast paced, fun and barbed, Iron Man is an enjoyable blast.